Reminder: TSA Admitted No Attempts to Hijack Planes and No Active Threats in the U.S. The TSA has failed to meaningfully detect dangerous items going through the checkpoint for years. Two years ago their disclosed 95% failure rate seemed shocking and surprising to many but is hardly new, ten years ago they had a 91% failure rate. Much hand wringing ensued. There’s no meaningful deterrence at that level of failure. TSA is actually harmful, not merely ineffective. 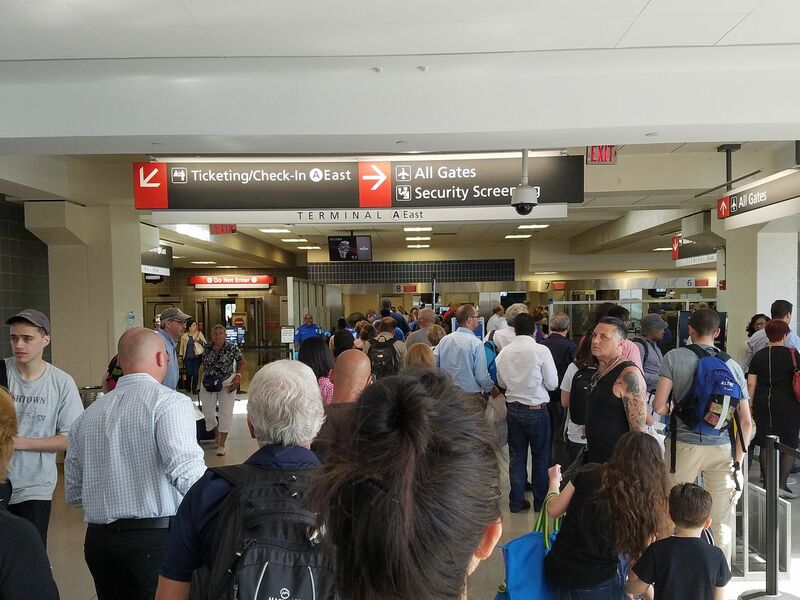 TSA wait times create easy terrorist targets. They also push people to driving over flying which is more dangerous (a phenomenon known as ‘statistical murder’). And despite a workforce run amok they were given a union making it even harder to hold “the few bad apples” accountable, thus encouraging even more bad apples. Indeed over 20,000 TSA employees have been accused of misconduct, over half multiple times. We’re lighting billions of dollars on fire each year with a TSA that doesn’t protect us but that does infringe on our right to travel. Yet the only explanation for why we haven’t had any hijackings in the U.S. is that no one is actually trying. If they were, they would have succeeded. If they were deterred (hah) they would be regularly succeeding with other targets. To be sure there are terrorist threats in the world as there always have been. But in the U.S. they’re isolated and rare. And the TSA admitted this themselves in documents that were accidentally leaked from a court filing in 2013. 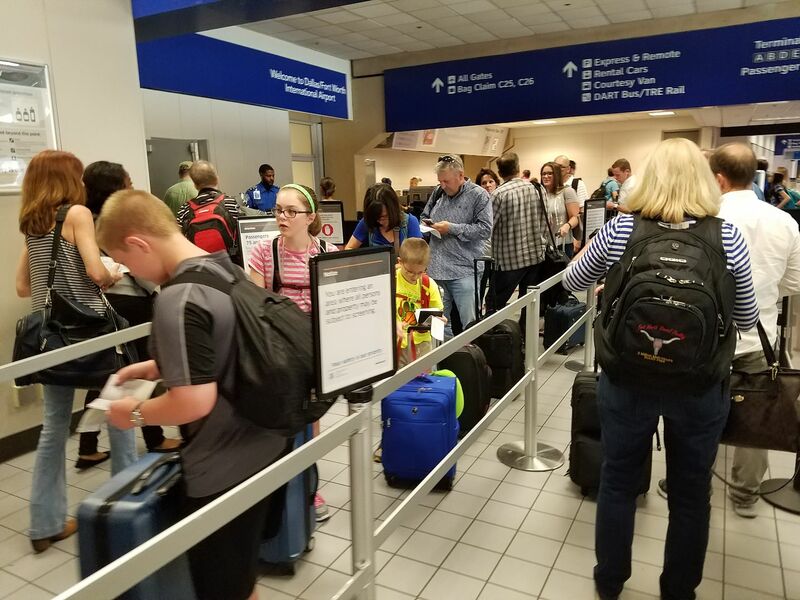 “As of mid-2011, terrorist threat groups present in the Homeland are not known to be actively plotting against civil aviation targets or airports; instead, their focus is on fundraising, recruiting, and propagandizing,” the TSA said. Let that sink in for a moment. All that money, all those jobs, all that fear, and the TSA was trying to hide the fact that they did not believe there was any active threat. The government, and the companies selling weapons and security services and devices, need us to believe otherwise. The true threat assessment came out and most people either didn’t notice or forgot. How convenient to ignore the inconvenient truth that the TSA was the brainchild of a republican administration. That’s why it is still alive. Because republicans love these kind of welfare programs for corporations (at the expense of social programs for poor individuals). Having seen a multitude of article criticizing the TSA here and elsewhere for many years, I hardly ever (actually, I think that I would be correct in saying “never” but maybe I have missed something) see anyone suggesting what changes they would really like to see. Do you want to do away with security screening entirely? That would be absurd. Is your beef the (very) minor inconveniences that TSA imposes on travelers? Presumably almost everyone who reads articles on this website is a Precheck member, and with that program the inconveniences are even more minor. Do you want to go back to the pre-TSA days when every airport screener (at least the ones I saw) were foreign nationals? I see lots of comments about “security theater.” So, what? Do away with metal detectors? Do away with X-ray machines? Do away the the swipe tests for explosives? I am no huge fan of the TSA, and they are a really easy target for all kinds of incompetence, foibles and malfeasance, but I would be very interested to know what alternative you propose? Apart from outsourcing the job to the Israeli Ministry of Transportation, it is hard for me to envision anything much better, and I really doubt that is a viable alternative. Has Gary Leff considered that the presence of the TSA itself could very well have been a deterrent to any group hatching a serious aviation terrorist plot? When we respond with increased aviation security measures, it seems logical that terrorists would move on to other “softer” targets. We have no way of knowing what effect the TSA has had on the plans of terrorists. Do we no longer need the FDA because no grocery stores have sold tainted meat recently? Do we no longer need security guards surrounding the Library of Congress, since nobody’s tried to break in? @Chad umm it may surprise you to know that airports had security well before TSA existed. Of course airports had security pre-TSA, but that was also in a very different threat environment. Surely you’re not comparing the threats and challenges of post-9/11 aviation security with the threats and challenges of the 1980s/1990s . . . . Apples and oranges. Long before 9/11 I remember the very thorough security screenings at London-Heathrow I experienced, even when I carried a BA ID and was in London to meet with the executive overseeing the long-term consulting assignment I was working on at the time. 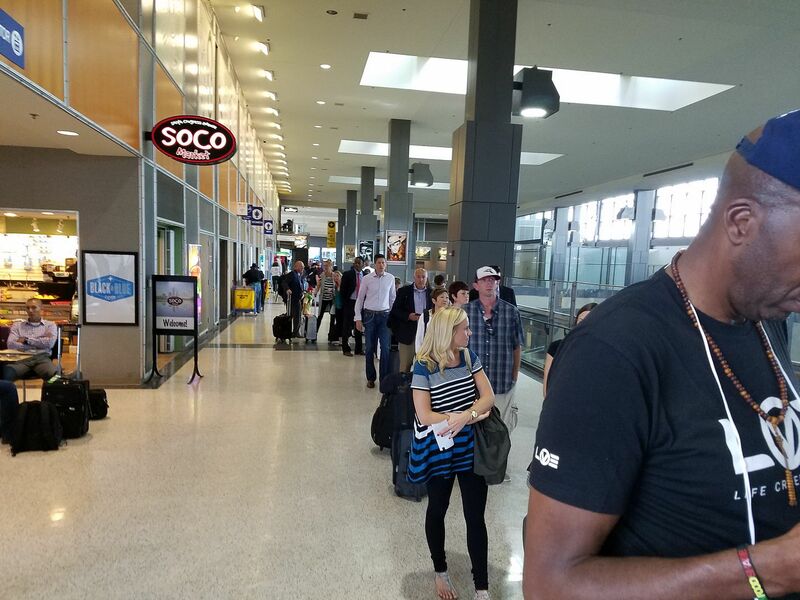 One of the screeners, of the more than one checkpoints I passed thru, even with the airline’s ID dangling on my chest, stood in front of me, with his face so close to mine, that our faces were mere inches apart, and I could literally smell his breath. This, of course, was in marked contrast to the screening at BA’s own Terminal 7 at JFK (where I spent a great deal of time on that assignment), who were, as noted above, mostly foreigners (with NO disrespect or malice for their ethnicities or efforts intended) who were provided by a third party contractor. While I obviously cannot divulge the average wage of the employees contracted to provide security pre-9/11, it’s a safe bet to assume published reports from that time, are generally correct. So, after 9/11, and having already experienced a much more rigorous and competent security screen in London, Tel Aviv, Athens, Paris and elsewhere long before 9/11, despite the annoyances and inconveniences resulting from changes implemented after the terror attacks, bad breath and all, I’ll take that momentary unpleasantness (or even the quick back/underneath ball slap and inspecting the inside of my pants’ waistband experienced in August at JFK), if that’s the line of defense between what happened on 9/11 and since then, when blessedly, mistakes and all, and however imperfect, whatever the TSA’s miscues and mismanagement may be, we’ve been able to prevent similar incidents. Bashing the TSA because of a few bad apples, or its mistakes, which included their failing to detect an unintended Swiss Army knife that was in my carry-on bag for a trip to Mexico City in October, 2015 at Newark, shouldn’t be cause to discredit it. There are examples all around the world where security screen is done very efficiently, and perhaps better than in our country. But, for what it’s worth, last Thanksgiving, or little more than a year after my Swiss Army knife made it to Mexico City and back, I yet again forgot it was in the carry-on bag (actually my laptop’s backpack) for a flight to Orlando, and this time the knife was found — and confiscated. Here’s hoping so, since our lives depend on it. 2.) also, predictive text gremlins must’ve worked their mischief for the second to last paragraph (from the bottom) that reads “there are” instead of the “So maybe they’re [the TSA] actually doing better…” it should’ve been. Just wait, it’s going to take longer to get through once EAPS comes into affect. Once again “be careful what you wish for”! If TSA is so bad, then get rid of them and let’s go back to pre-1973 when anyone could just walk onto a plane without ANY screening, and when they do that I want the author of the article to take the first flight. Just so everyone knows at my airport we are 95% passing all threats when we get tested ( every officer gets tested twice a week on one checkpoint). So I can’t speak for all airports but I will say for my airport we confiscate alot of knives ammo guns and other weapons I won’t mention. We also suggest to passengers all of their options before they voluntarily surrender prohibited items. Major airports seem to hire any and everyone but that’s them. Our airport makes us do alot of background and investigation into our lives before we can be fit for duty. So don’t judge all TSA officers based on bad experiences.